Every now and then we have tiny or sometimes a little bit bigger, six-legged or eight-legged creatures invading our homes. They seek primarily food, shelter or both. To control pests, the best way is not to invite them inside in the first place. Keeping your home clean and storing food in containers will help. Yet, sometimes we still face bugs showing up in our house. Of course there are plenty of conventional products out there that can give a quick and effective solution to the problem. However those chemicals are full of harmful and dangerous substances and would not be a clever solution for those with kids. 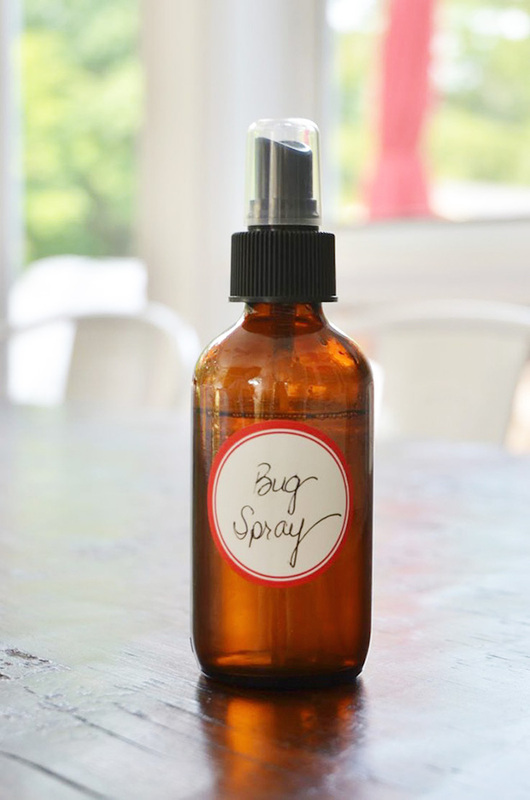 A natural bug spray can be made inexpensively and naturally at home. Here is ten natural ways to keep those annoying mosquitoes, flies, ants or cockroaches away. Probably you have already heard about DEET and other chemicals, which are present in many commercial insect repellents. 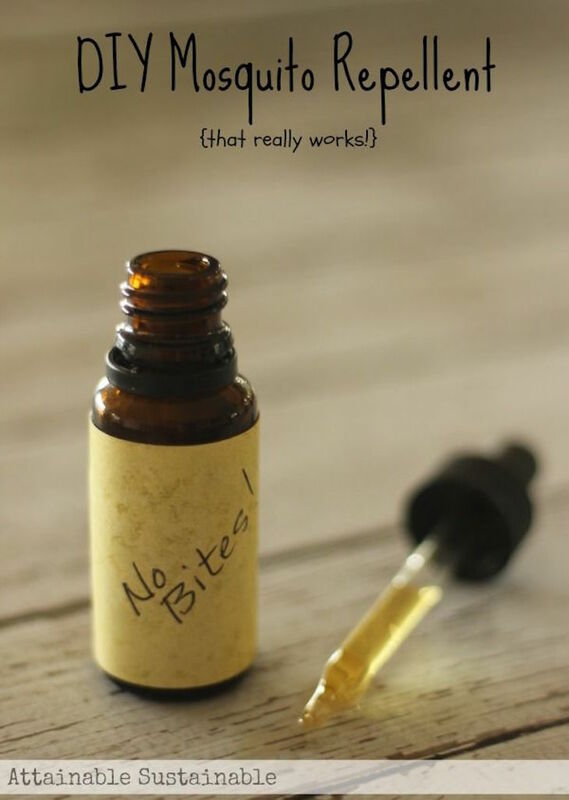 To avoid applying those store-bought chemicals onto your skin here is a really effective and 100% natural recipe. Mix together neem seed oil, olive oil, coconut oil and citronella essential oil in a small jar with an eye dropper top. With this completely chemical free bug spray you can eliminate ants, flies, spiders and rodents around your home. Choose from essential oils with insect repellent effect such as: Citronella, Clove, Lemongrass, Rosemary, Tea Tree, Eucalyptus, Lavender or Mint. The more oils you use, the stronger the spray will be and you can choose more than just one. 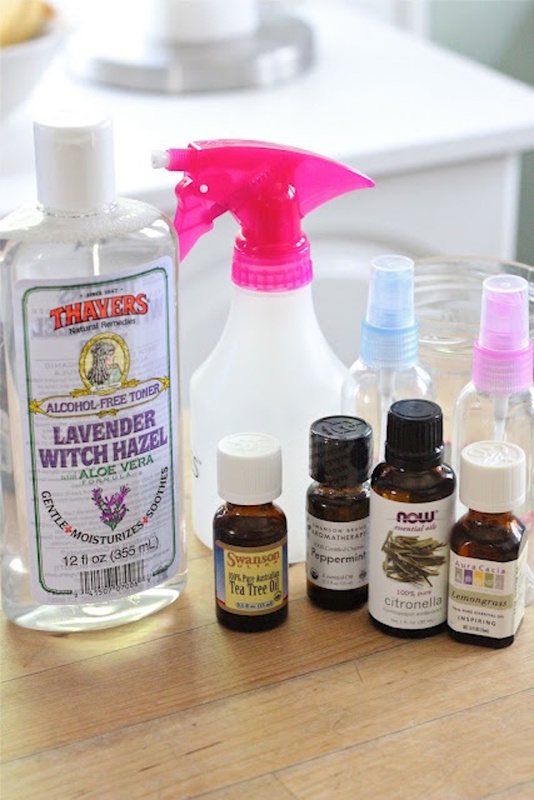 Mix it with Witch Hazel, distilled water and fill it in a spray bottle. It works great and smells good too! Don’t get any in your eyes and when using on skin for your kids make sure they are not allergic to any of the essential oils by placing a little bit over a small area. You can spray it on surfaces and generally everywhere where insects show up. To get the essence out of plants, add 3-4 tbsp. of dried or fresh herbs (any combination from the above mentioned ones) in a cup of boiling water. Mix well, cover and let it cool. After that strain herbs out and mix the herb water with 1 cup of witch hazel or rubbing alcohol. Store in the fridge in a spray bottle and use when needed. After cleaning thoroughly your kitchen surface and cupboards spray this bug spray to keep food moths, cockroaches and ants away. Vinegar is a truly amazing, versatile, and eco-friendly product. It can be used for dozens of different things from canning vegetables, to house cleaning. Ants and other insects don’t like vinegar. That’s why you can use it to keep them at bay. Mixed with essential oils it is a very effective combination. Here is the recipe: 8 oz apple cider vinegar, 45 drops Peppermint Essential Oil, 15 drops Lemon or Wild Orange Essential Oil. Mix ingredients in a spray bottle and apply liberally. Store in the fridge when not in use. Should last 2-3 months. Vinegar as mentioned above is a very effective bug repellent. It stinks when it is wet but the smell disappears as it dries. You will need: a 32 ounce bottle of Apple Cider Vinegar, 2 tbsp. each of dried Sage, Rosemary, Lavender, Thyme and Mint plus a glass jar with airtight lid. Put all ingredients into the jar, seal tightly and shake well each day for 2-3 weeks. Strain the herbs out and store in spray bottles. Spray whenever you need serious pest control! Peppermint oil is a fantastic natural deterrent. Spiders, other insects and rodents don’t like the smell and they will not try to go near it. Simply douse the cotton balls with undiluted peppermint essential oil. It will serve as an extra barrier to keep the ants out of the home. Use a cotton ball to wipe down the area by the entrance, and if you find the crack in which they are sneaking through, stuff another cotton ball into it. All these plants work well as a natural repellent, especially against ants. Leave cucumber peels or slices in the kitchen. For some reasons ants have a natural aversion to cucumber and garlic. Bay leaves also work fine. Peel garlic, crush or slice it for a more intense aroma and the ants will definitely disappear. 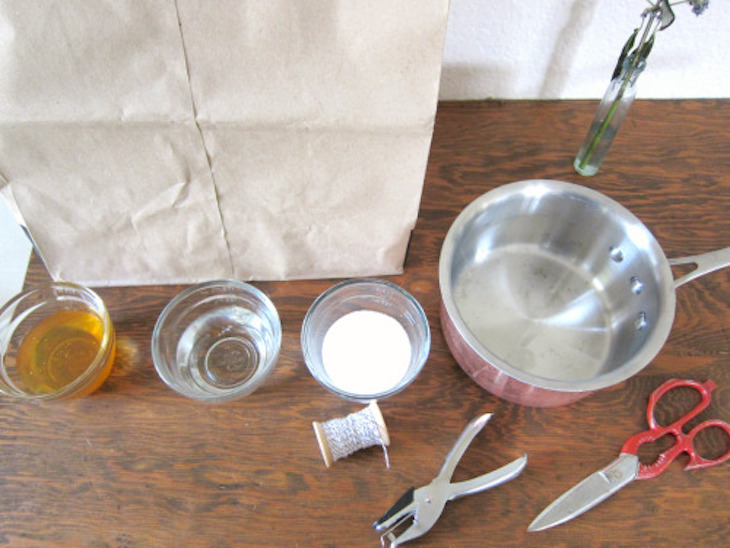 Instead of using harmful chemicals or pricey fly traps, you can make your very own fly paper. With only a few household ingredients and materials you can get rid off the annoying little critters. You only need honey, sugar, water and some paper. 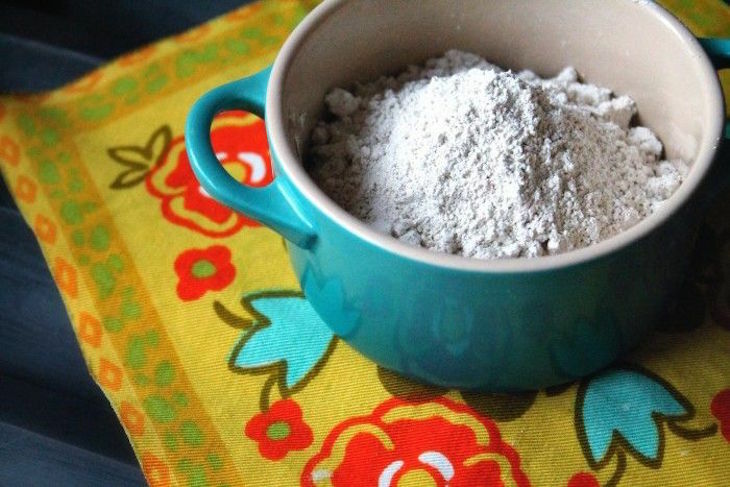 Diatomaceous Earth or DE is an off white talc-like powder, almost pure silica. Basically it is a substance made up of the fossilized remains of marine phytoplankton. It is completely harmless for mammals – we can eat it – but it kills any bug with an exoskeleton easily. Use a bulb puffer to blow DE into crevices where bugs are likely to hide. It is inexpensive, nontoxic, and effective way to kill bugs without using insecticide. Bugs especially cockroaches like to hide and set up camp in stacks of papers on the floor or bottom of cupboards. Make sure to keep the area of under the sink, water heater, behind the fridge, washer and dryer clean. Hoover and mop the floor regularly and spray the area afterwards with any of the above mentioned DIY Bug Spray. Never leave dishes in the sink, keep your fridge clean and wipe counters thoroughly after cooking. Again, use natural bug spray the keep unwanted insects away.